President Trump’s ban on Iraqis entering the US may undermine his agenda in the war-torn country. President Donald Trump’s travel ban, though currently suspended by a federal court, comes at a pivotal and potentially destabilising time for Iraq. The complex task of recapturing Mosul, ISIS’ last Iraqi urban stronghold, is already underway. Meanwhile, US adversaries are vying for power in preparation for a post-ISIS Iraq. As anti-American groups, including Iran, consolidate their influence, the need for cooperation between the US and the anti-ISIS coalition is as high as ever. Instead of building lasting partnerships with vital Iraqi allies, however, the ban puts existing relationships at risk. While the ban was only intended as a temporary measure, the uncooperative tone set by the administration as well as the likelihood of implementing further anti-Iraq or anti-Muslim measures will likely reduce Washington’s influence in Iraq. Among the militias, contractors and members of the political establishment who have worked with the US, this ban will seem like an insult to a usually productive relationship. Trump’s executive order elicited a strong response from Iraq’s parliament, putting Prime Minister Haider al-Abadi, in a difficult position. After parliament voted to enact a similar ban on US visas in retaliation – which would have potentially limited the entry of vital US contractors and advisers – Abadi was forced to reject the resolution noting the adverse effects it would have on the war against ISIS. Nevertheless, the ban has put the US-Iraq relationship in peril. Abadi’s US-friendly government is under pressure from former Prime Minister Nouri al-Maliki and his allies, who have already succeeded in removing several of Abadi’s cabinet appointments. Abadi’s rejection of the proposed counter-ban will likely only weaken the government’s popularity. With provincial elections to be held this year and parliamentary elections next, a worsening US relationship will likely fuel anti-American campaigns. It will also lead major Shi’ite parties to draw even closer to Iran for support. While Maliki is far from being the most popular Shi’ite politician, the alternatives are no better for US interests. While not a lawmaker himself, the Shi’ite cleric, political kingmaker, and militia leader Muqtada al-Sadr has come out strongly against the Trump administration and will likely direct his followers to support parties with anti-US views. If Trump is serious about curbing Iran’s regional influence – and recent tweets criticising Tehran for “rapidly taking over more and more of Iraq” suggest he is – he will need to adopt a more conciliatory approach to Iraq’s political establishment. A more immediate concern for Trump, however, is the war against ISIS. Trump has made it clear that counter-terrorism is at the top of his political agenda, and with approximately 5,000 US troops currently in Iraq, he has a chance to materially weaken the group. Instead, his travel ban may end up reducing the effectiveness of those forces. 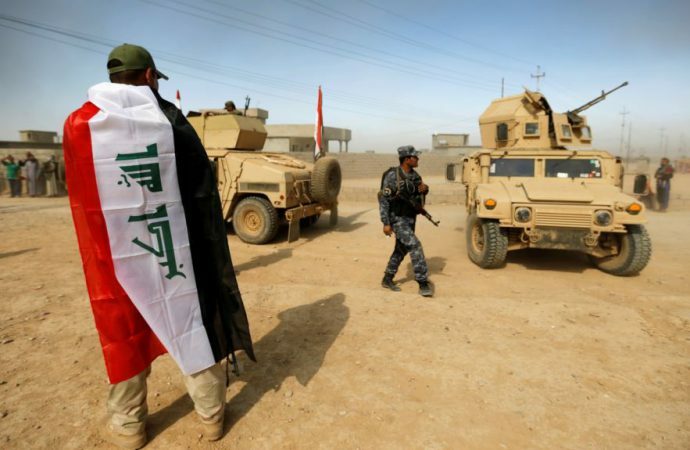 Washington partners with a diverse collection of Iraqi security forces on the ground, and it also relies heavily on local translators, guides and political operatives. Alienating Iraqis will only undermine US military efforts in the country. Most significantly, by restricting visas and refugees, Trump runs the risk of removing any incentive to aid US troops. Past campaigns have relied on local workers, many of whom put themselves and their families at great risk to help American troops and later seek US visas. Without this safety net, distrust will likely rise among Iraqi contractors. Fundamentally, as was demonstrated by the 2007 American surge, winning the hearts and minds of the wider Iraqi populace is crucial in a war against terrorism and insurgency. Past efforts to win over marginalised communities, particularly among Sunni tribes, effectively turned the insurgents’ own support base against them. The Trump administration’s disregard for these communities will validate the messages of anti-American groups. The ban comes at a time when the Sunni population is already wary about the growing dominance of Shi’ite political parties and their powerful militias, the Popular Mobilisation Units (PMU). To oppose the PMU, neo-Baathist militias like the Naqshbandi Order or Islamist militias unaffiliated with ISIS have stepped up operations to fill the post-ISIS vacuum; neither type of insurgency will support US interests. If Trump continues to antagonise potential allies in the Sunni population, he may not only lose their support, but they may also seek out new partnerships to counter the growing threat of Shi’ite dominance. Overall, Trump’s shaky start to Iraq policy does almost nothing to achieve his objectives in the region. At best, Trump’s ban limits US involvement in the fight against ISIS – security forces will be less inclined to work alongside American troops; local workers will have no incentive to work for the US; and local communities will distrust the US. Meanwhile, US allies in Iraq’s political establishment will face an uphill battle against increasingly popular anti-American campaigns. 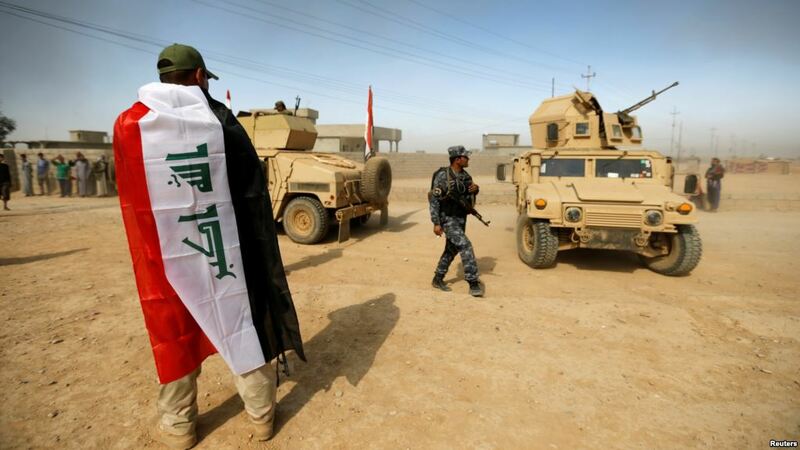 At worst, the travel ban will help fuel new insurgencies among the Sunni population and encourage a closer relationship between Iran and Iraq’s Shi’ite parties. Although Trump has an opportunity to shape the Middle East, the travel ban will bring him no closer to achieving his anti-ISIS and anti-Iranian ambitions.